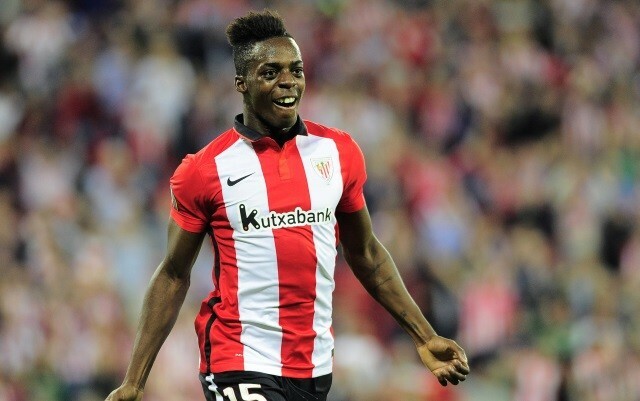 Liverpool and Borussia Dortmund have been joined by a fellow European heavyweight in the race to sign Athletic Bilbao sensation Inaki Williams, report Calciomercato. Williams is widely considered one of the most exciting young talents in La Liga. His electric pace and mazy dribbling skills make him a nightmare for opposing defenders. Though he is just 22-years-old, Williams has already made 94 appearances for Athletic, and has established himself as a cornerstone in their starting side. His good performances also earned him his debut for the Spanish national team. With the plethora of talented Spanish attackers Julen Lopetegui has at his disposal – that’s some feat. It comes as no surprise that Williams is being tracked by some Europe’s biggest sides. Calciomercato report that Liverpool, Bourssia Dortmund and Juventus are all keeping tabs on the Spaniard. Calciomercato report that he will be allowed to leave Athletic in the summer if his £42.8million release clause is met.